Ready for this? 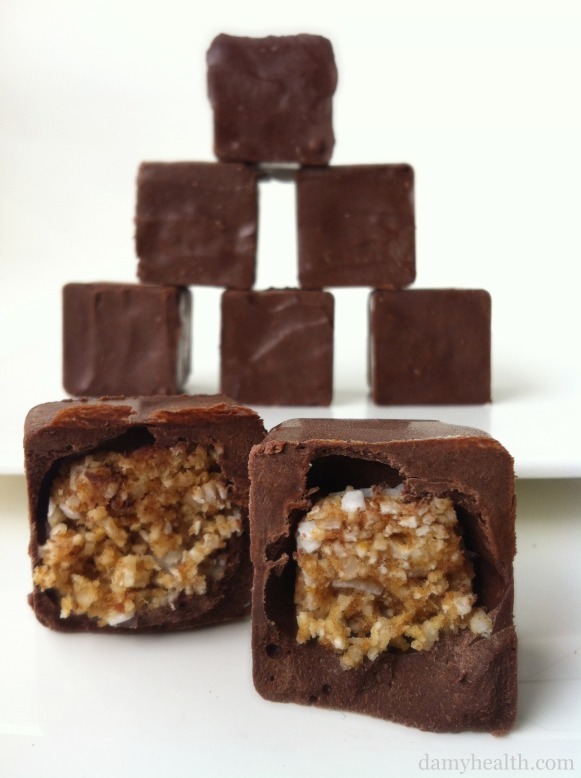 Chocolate Covered Maca Superfood Macaroons! Don’t like Maca? You don’t have to add it. You can make these macaroons blonde or chocolate and use any shape you want to create them. What I used is a silicon food grade ice cube tray as my mold. The one I purchased is called the “Perfect Cube.” I simply used the chocolate covered Ice Cube Tray Cheesecake method to coat this ice cube tray with my Healthy Coconut Oil Chocolate, added in little balls of our No Bake Macaroons, covered the top with our Healthy Chocolate, popped them in the freezer for 3-4 hours took them out of the freezer, gently pushed them out of their mold and voila! I love that these look like cubes! It’s just fun to me. The flavor of the chocolate mixed with these macaroons is divine. Again, when making the macaroons you do not have to use Maca. Also, you are going to have a lot of macaroon balls leftover from using the recipe above. You can drizzle these with chocolate, dip them in chocolate or add them to another recipe. 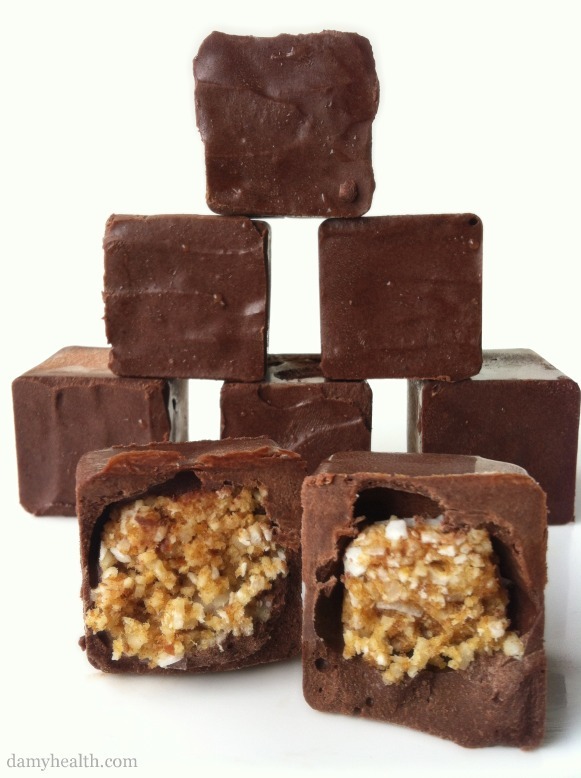 You are also going to have leftover chocolate which can be used in a million different ways (see the links below). 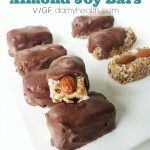 This recipe is no bake, gluten free, vegan, superfood, easy, freezer chocolates and chocolate covered coconut deloyjoy. 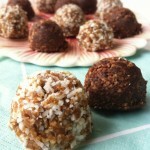 In your food processor add almonds, dates, vanilla, salt, maple, maca and flax. Blend until close to dough-like. Add coconut and pulse until fully mixed. Test the macaroons to see if the dough sticks together. If it does, perfect. If it doesn’t add a couple tbsp of water and pulse again until desired texture. 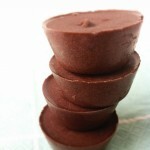 In a separate food processor bowl blend Chocolate Coating ingredients until smooth. Spray a pre-chilled, clean ice cube tray with a healthy oil. Using a spoon pour the chocolate into each ice cube mold. Coat the bottom and the sides of each ice cube mold using your spoon. 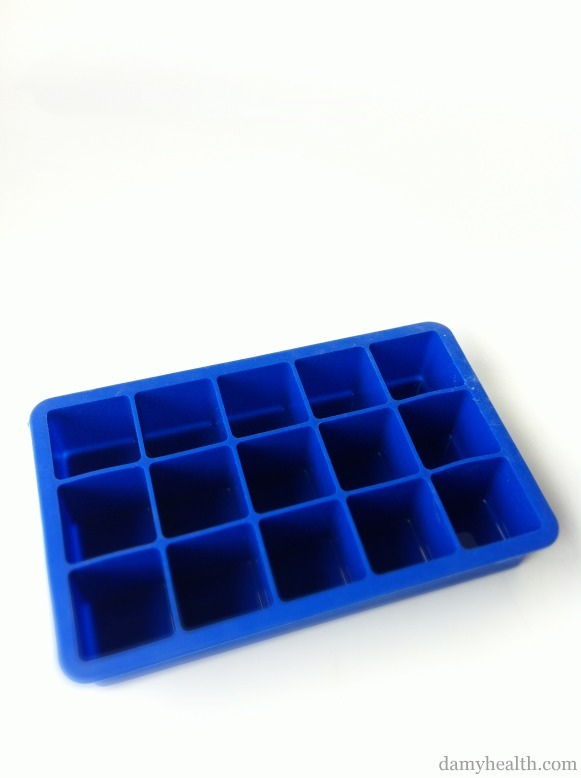 Tip – I picked up the ice cube tray and kind of tilted it around to make sure all the angles were covered. Make sure the molds are completely coated. 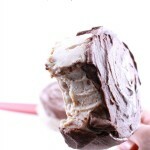 Roll macaroons into small balls and place into chocolate covered molds. Top with a layer of chocolate coating. Place in the freezer for 3-4 hours. Remove from freezer and set on the counter for a minute or two. Gently twisting the ice cube tray, as you would to remove ice cubes, remove each macaroon and place on a plate. DAMY Members – Two macaroons are a treat. Store these in a sealed container in the freezer. Serve immediately from freezer. 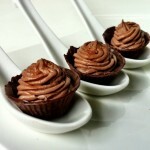 Use Your Extra Chocolate in One of These Recipes! Need a little boost? Go here. Great program! I would recommend it to anyone who is looking to fine tune their body or just get back in shape after having babies – that was me :). Coach Amy is very helpful and was always willing to help tweek my program for my injuries and other reasons I needed any modifications.